Bubba was a quiet little bird when I first received him. He and his son, Beebe, had been given to me due to the original owners no longer being able to take care of both of them. In addition...they had been clearly abused and mistreated. Beebe and Bubba were kept in separate cages, both of which were hardly cleaned. 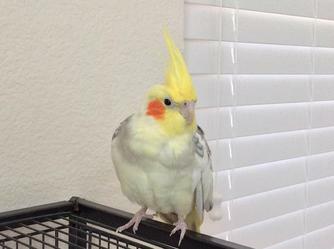 The owners had no experience with birds and simply told me that Beebe was young when they bought him, and Bubba was already rather old. Bubba did not take to his new surroundings right away. He was shocked to realize he could leave his cage at all. He was very filthy, too. Over time, Bubba got used to his new-found freedom. In the mornings he would wake up to stretch and groom, then sleep through the morning. He would repeat this process, often stopping to eat a lot of food, only to resume the routine. He would sometimes fly around my room, but he was never really good at flying. On Sundays, the day I would clean out his birdcage, I would sit in my floor, and Bubba was content with sitting along with me, either watching whatever was going on with my laptop, or looking up at me. 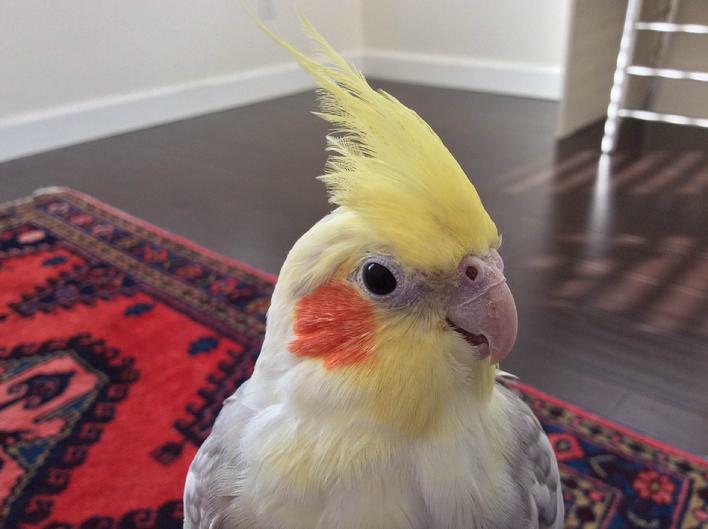 He absolutely loved millet, which he only got on Saturdays. Often I would wake up to him squawking, waiting for me to get his millet. Otherwise, he was a very quiet bird. In the afternoons he would sunbathe at the bottom of the cage, usually falling asleep in the process. He liked to listen to music during this time as well. It might have been for this reason that he didn't want me to worry about his health. He had started to appear...sickly. He wanted to sleep more, he stayed at the bottom of the cage more...He knew I worried a lot about trivial things, so he never really showed signs of his health. 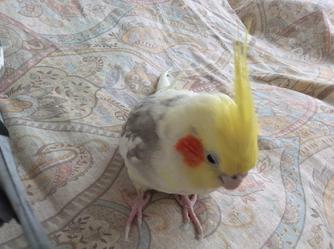 He was a humble and reserved cockatiel. His previous owners had told me that he had been in a lot of houses, never really getting to stay in a permanent, loving home. I believe that he knew that I was different, that he would be loved in my arms. And he was, to his very last moment and continuously thereafter.